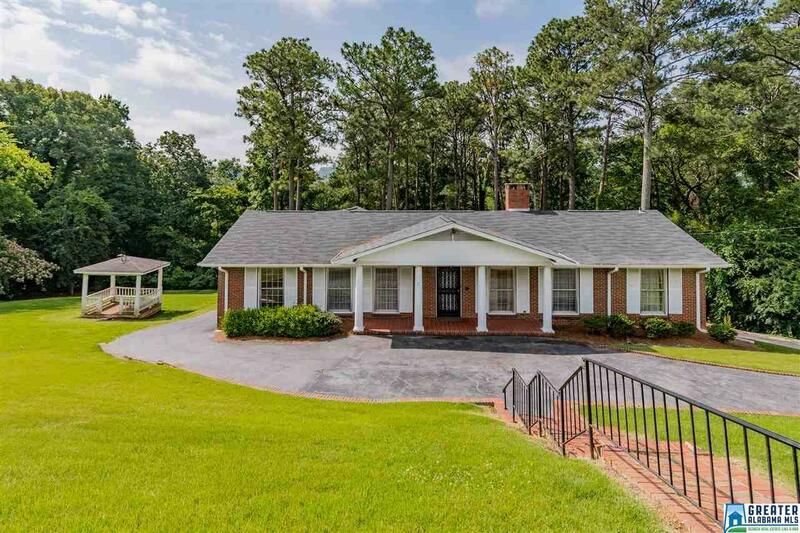 1525 Wellington Rd, Homewood, AL.| MLS# 819603 | Richard Jacks UABLIVING.com 205-910-2297 | Birmingham AL Real Estate | Contact us to request more information about our Homes for Sale in the Birmingham AL area. THE LAST ESTATE SIZED LOT (1.1 ACRES) ON WELLINGTON ROAD, ONE OF THE MOST COVETED STREETS IN HOMEWOOD!! Largest usable lot on Wellington!! One owner home. Full brick home with 3 bedrooms and 2 baths and a great Sunroom on the main. Basement has a bedroom, full bath, kitchenette, den, office, and sunroom. Great for in-laws, home office, or teenage hangout. 2 car basement garage. Circular driveway allows for groceries and kids to be unloaded on the main level. Potential for 2 lots subject to a variance from Homewood Zoning. Driving Directions: From Hwy 31 Turn Onto Mayfair Dr. Turn Left Onto Wellington Rd. House Is On The Left.